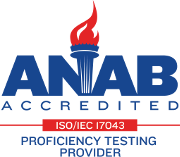 Looking for Testing Instructions or Manufacturer’s Information? The CTS Customer Portal lets you manage your interlaboratory testing experience. To view step-by-step instructions on how to use the CTS Portal including program specific features, click Getting Started. If you can’t find the answers you need or have comments, please contact us.